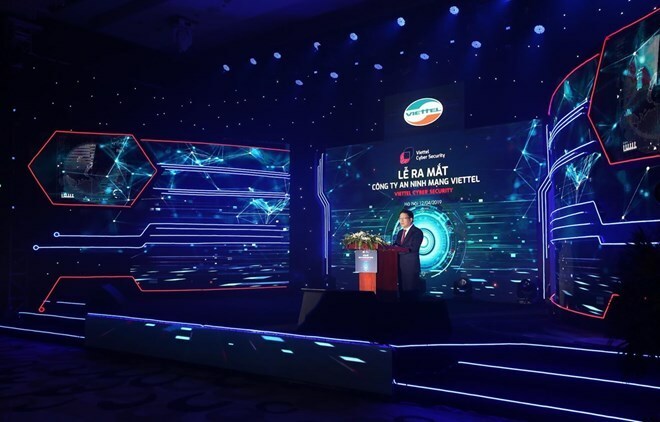 The Viettel Cyber Security Company, a subsidiary of the military-run industry and telecom group Viettel, made debut in Hanoi on April 12. This company, set up on the basis of the Viettel cyber security centre, is tasked with researching and developing information security solutions, products and services. It is currently in charge of ensuring information security for the telecom network of Viettel in 11 markets around the world. It also provides cyber security solutions, detect loopholes, and deal with information security incidents at ministries, localities and businesses. Fifty-four enterprises were granted business licences to trade and provide network security services in the first quarter of 2019. According to the Authority of Information Security under the Ministry of Information and Communications, Vietnam recorded 620 cyber attacks in the three months, down some 50 percent year on year.